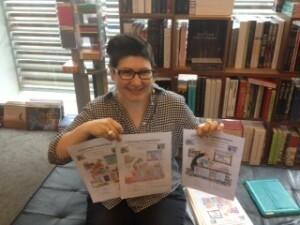 The fabulous Rebecca from Avenue Bookstore Albert Park judged the colouring competition. First Rebecca looked carefully at every entry. There were over 50! It was an extremely hard decision. Then she chose the winners! James P, Max and Olivia. Next The Ranting Man read all the rants. He enjoyed this thoroughly as he loves a good rant. 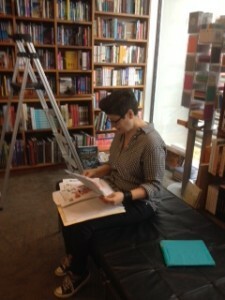 He nodded his head most vigorously when he read the rants of Jenni Ivins and Anne Gracie. Congratulations!!! All winners will receive a set of the first two books in the Pickle and Bree’s Guide to Good Deeds series. The next two are being released in August! Thank you everybody for taking part. Thank you The Five Mile Press for supplying the prizes. and here at The Five Mile Press.